Join us for a weekly dose of fun, including music, entertainment and so much more on Tuesdays, from 11AM ' 1PM. 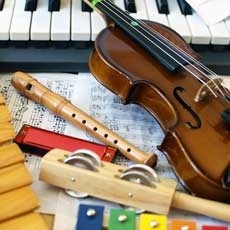 Join musicians Jonathan and Matthew as they stimulate your child's mind through upbeat and interactive original music. The BeatBuds inspire the creative and logical minds while providing a fun and engaging experience through song.